We at 4 Down Territory try to bring you, the reader, unique content each and every week. With a stud like me and a dud like Sam, it’s only fitting that we unveil a new segment. Welcome to this week’s edition of Studs and Duds. Ole Miss and Mississippi State were the hot new items in college football after last week’s big wins. But, after two huge wins again this weekend, both Magnolia state teams have cemented themselves as a force to be reckoned with in the inaugural College Football Playoff. Mississippi State jumped out to a huge lead over Auburn and ended up getting a big win in what turned out to be a pretty sloppy game. 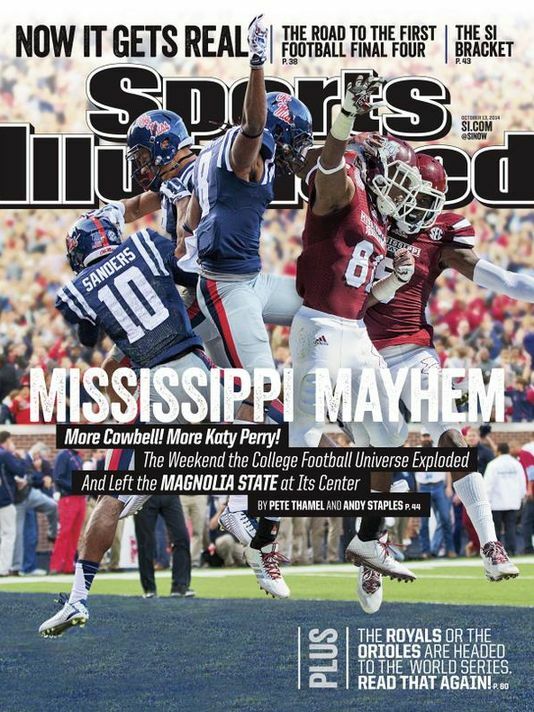 Ole Miss went to Kyle Field, at night, and knocked off the Aggies of Texas A&M. The final was 35-20, but the game was actually not nearly as close as the score indicated. As mentioned above, Auburn lost a sloppy game to the #3 Mississippi State Bulldogs. Two turnovers in two plays is a terrible way to start any game, much less one on the road against a top 5 opponent. The Tigers were able to claw their way back into it, but wasn’t able to capitalize on Cowbell mistakes to come out with a win. The Crimson Tide traveled to Fayetteville to take on Bret “Boss Hog” Bielema and the Arkansas Razorbacks. This was an ugly game through and through. Alabama failed to top 100 yards rushing or 300 yards of total offense. The mighty Arkansas rushing attack also failed to top 100 yards. In the end, Alabama pulled out an ugly 14-13 win, but it will be one that many fans will want to forget very soon. 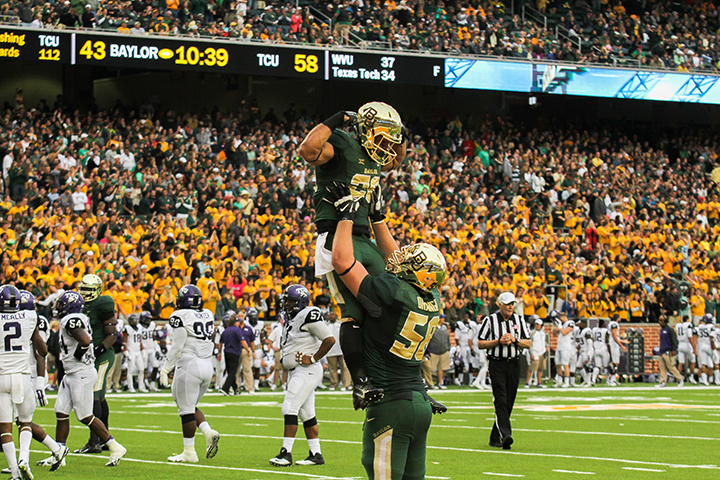 Baylor and TCU had one heck of a basketball game Saturday night. Oh that was the football score? Dear Lord. There was a combined 1,267 yards gained and 119 total points scored. I don’t care if you are playing the Sam Pouncey Wallpaper Hangers, that is a lot of yards and points. Do I really need to explain this? TCU scored 58 points and LOST. Baylor’s defense was obviously only marginally less bad. No other explanation needed. With Todd Gurley suspended for doing his best Johnny Football impersonation (and apparently doing it too well), Nick Chubb was the main man in the Georgia backfield. In what was supposed to be a good game against fellow SEC East team Missouri, Chubb ran the ball 38 times for 143 yards and a touchdown leading the Bulldogs on their way to a 34-0 shellacking of Mizzou. Why was Todd Gurley absent from Georgia’s rout of Missouri Saturday? That would be because this loser emailed a video of Gurley signing multiple items and getting paid for it to ESPN. What makes this different than say Johnny Manziel or any other athlete who has been “allegedly” paid for autographs? 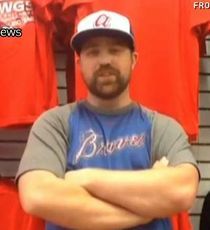 Bryan Allen is the guy getting the stuff signed and pays Gurley in the first place! I understand wanting to do the right thing, but you know what the right thing is? Don’t set the kid up in the first place, which is exactly what this sounds like to me…a set up to get Gurley suspended. With the Power 5 conferences now granted autonomy, it might only be a matter of time before athletes will be able to sell their image and likeness however they want anyway. It’s an unfortunate situation for Gurley brought about by a guy who wants his name in the news. Oh and did I mention he was a Florida Gator fan? Yeah no coincidence there at all.